A child develops language immediately after birth. 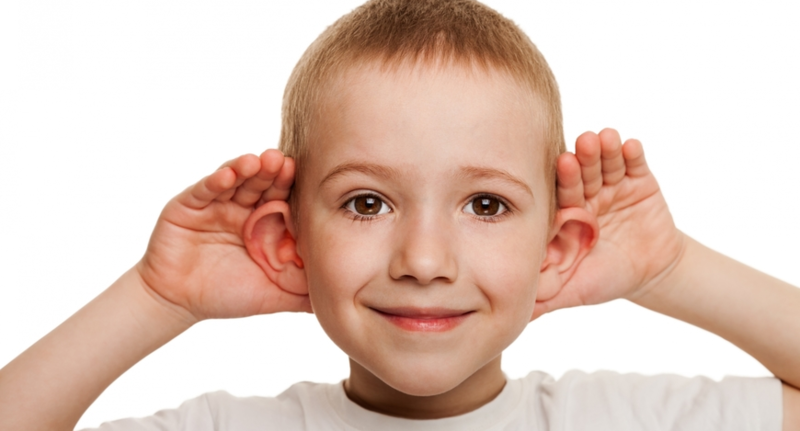 The first five years are the golden period for listening abilities and language skills. If a child has hearing loss, Cochlear implants restore hearing. Over 16,000 Indians have had cochlear implants. Less than one percent of those who require them, however, have been so fortunate. Former Australian cricketer, Bret Lee, and brand ambassador, Cochlear, was in India to generate awareness about hearing loss, spoke to BW Businessworld about the importance of early detection in children, and more. Excerpts. Hearing has no price. We have to make a small investment in a child’s future. We raise awareness with governments and people to subsidise the cost for all children; once a child is implanted early enough, s/he can lead a normal life. I’ve been with Cochlear for almost five years. I’ve seen that kids implanted with the device early (1-2 years) have an unbelievable vocabulary; they are articulate, and integrate in society normally. But I’ve also seen kids whose parents brought them at seven; their hearing is that of a new-born. So, obviously, the earlier the implant, the better. In Kerala, 9 of 10 hospitals conduct a universal newborn test. If there is an issue, they find it on day one. Referrals are possible. Monitor a child for 3, 6 or 9 months, and refer it to experts; you can then qualify for a cochlear implant. Most Indian hospitals don’t have a universal new-born test unless a parent demands it. A hearing test is essential. You do what you enjoy in life; for me, it was cricket. It’s fun taking wickets. But when you see kids helped, it’s far more satisfying. The captain is the doctor, the vice-captain the speech therapist. With the best captain, but no speech therapist to follow up, it’s pointless. It’s having the best gear in the world to play cricket, but without a coach to show how to use it. I’m here to tell people it works. I love seeing kids 5-10 years after implants topping school and living a normal life. Journalists use one quote, which I don’t like. They say kids with hearing loss can be deaf or dumb. No child is dumb; it’s just that they haven’t the opportunities to learn because they can’t hear. You can’t learn something if you can’t hear or haven’t been taught. You can’t learn cricket if no one shows you. When kids have the opportunity, they flourish. I thought I’d have much free time on retirement. Quality family time is important to me. But the things I do with Cochlear are throughout the year. So, some really key times of the year I work with Cochlear and raise awareness through social media and other channels. We’ve met government officials. 466 million people globally have some form of hearing loss. Eighty-four million are children. I love kids; they are our future. Cochlear has done much work with adults, but we are focused on children, the future. It’s all about early intervention and implants within two years; get a screen test done and leave it to experts. To get the best results you need to do it before two years of age, through a proper surgeon, and speech therapist. If not, they hear, but their brain hasn’t been taught what they are hearing. If they have not been taught different sounds, it doesn’t work well. I’m passionate about hearing. I play in a band. India is a loud country and people need to be aware of hearing health. A parent can know something is wrong early. As a parent, you watch for signs. If a car screeches past and a child doesn’t startle or if you call a kid’s name and the child does not turn, don’t say the child might be slow. Everyone is made to hear. If they suspect their child or nephew/niece has hearing loss, see a health professional. Parents who wait say, “I wish I had the implant done when we found out earlier; now we’ve lost the opportunity”. And it’s sad just through not being educated enough. So, parents, “If you think your child has hearing loss, get a test done”.